There have been three fires in Tesla cars lately. They make the news because Tesla can sneeze funny, be in the news, and then that sneeze will impact the stock price. 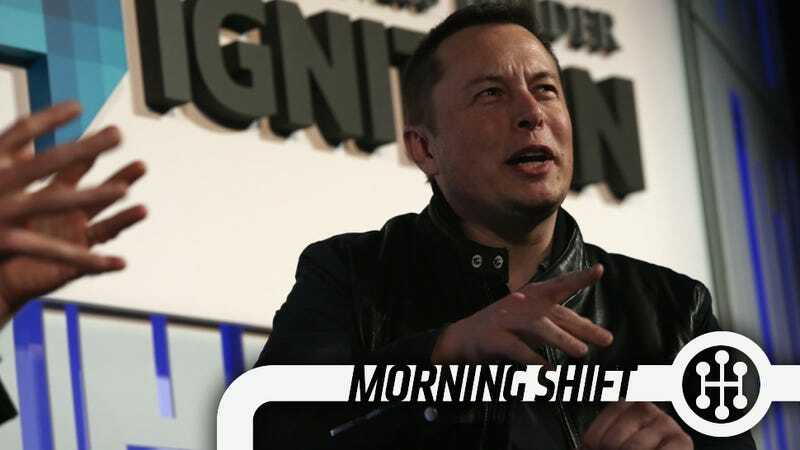 Elon is tired of people talking about the fires, so, naturally, he talked about the fires in an interview. Elon says there is "no reason for a recall" and notes that the Model S is one of the safest cars on the road. The owners in all three fires have gotten new Model Ses to drive. There have been no deaths in a Model S yet, and Musk says "there might be a car as safe as a Model S, but there is certainly not a car that is safer." Of course, there is still the chance that the NHTSA will mandate a recall if they see an issue. And then, in that case, Musk will need to eat his words. The US government still owns about 72 million shares of GM, but that is way less than it owned last month. The government sold about 30 million shares of the 101 million it owned at the end of September last month. The government has been selling shares at a rate of 20 to 25 million a month to wind down its involvement in the once beleagured automaker. Right now, the government has lost about $9.7 billion on its investment, so they haven't exactly broken even. Speaking of GM, the international office, which is currently in Shaghai, won't be there for long. They're on the move to Singapore. It's a win for Singapore, as they want to attract more business ventures to have a headquarters in the area. It's also a win for GM employees, as I've heard Singapore is lovely... as long as you don't chew gum. The official move will occur sometime in 2014, but the Shanghai office will also remain open. The EPA hasn't really changed the way it tests fuel economy since 1971. That's why they have to say "your mileage may vary." Times change, but the EPA hasn't. They need to, and changes to testing aren't really planned, other than closing a random loophole. They will not be changing how they test hybrids now, which many see as an oversight. Especially Ford, with their C-Max mileage debacle. Ford sees it as a problem, the EPA says its fine. Maybe they'll change it. Unless sales numbers for 2013 change unbelievably, the best selling "cars" in America will be a couple of trucks. Like usual, the Ford F150 and the Chevy Silverado are the top selling vehicles you can buy this year. Then, like usual, it's the Toyota Camry and the Honda Accord, and then the Ram 1500 rounding out the top five. Tesla fires: Big deal or no big deal?